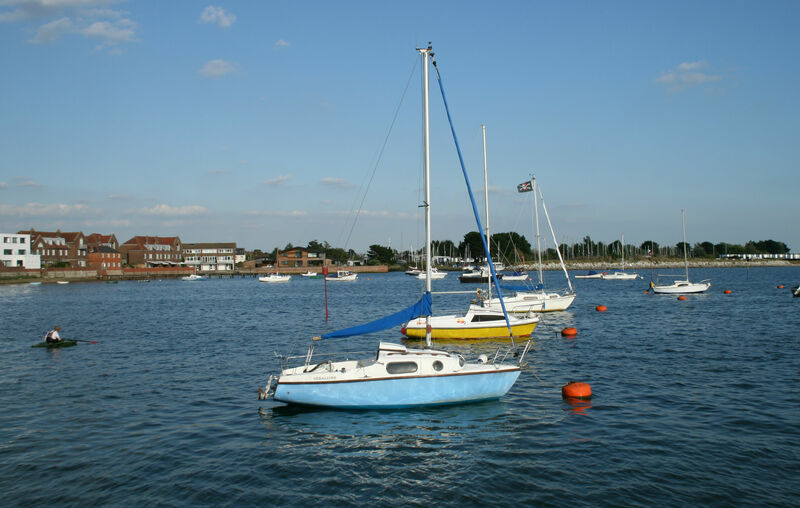 This summer I visited the Hampshire town of Emsworth, where P.G Wodehouse once lived. 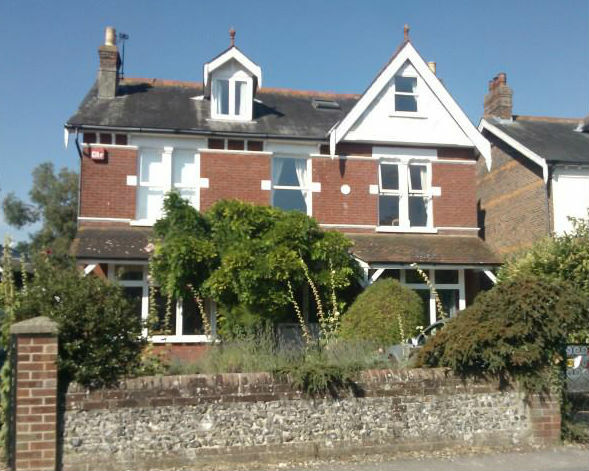 He first arrived at the invitation of Herbert Westbrook, who was teaching at Emsworth House School. Westbrook is described in Sophie Ratcliffe’s ‘P.G.Wodehouse, A Life in Letters’ as “handsome, charismatic, and permanently broke.” He is forever associated in my mind with the character Ukridge and, for some reason, the novel I most associate with Emsworth is Love Among the Chickens (1906). Wodehouse lived for a time at Emsworth House School, run by Baldwin King-Hall and his sister Ella. The school is mentioned in Mike (1909) and provided the setting for The Little Nugget (1913). Sadly the building no longer exists. attractive all the time, so let’s take a chance. Ella King Hall married Westbrook and there is some suggestion that he may have been Wodehouse’s rival for her affection. She later became Wodehouse’s literary agent in the UK. 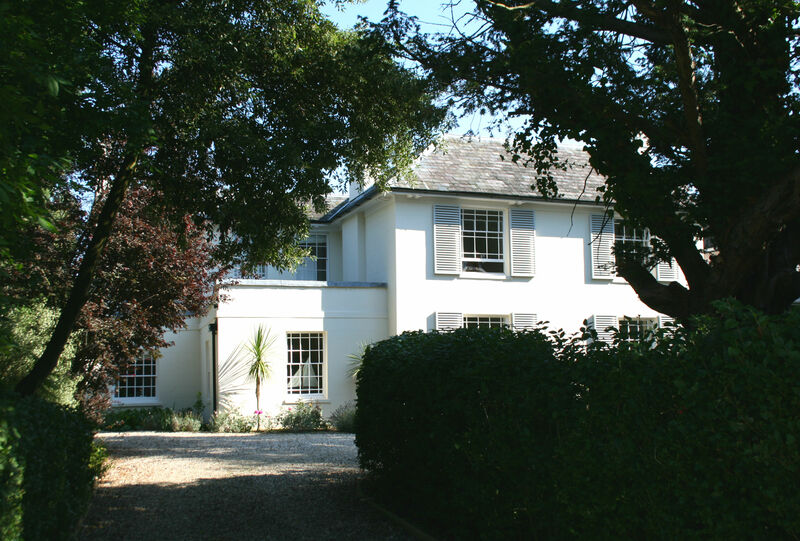 Wodehouse moved from his lodgings at the school and rented a house nearby called ‘Threepwood’, which he later bought. The blue plaque is faintly visible from the road. 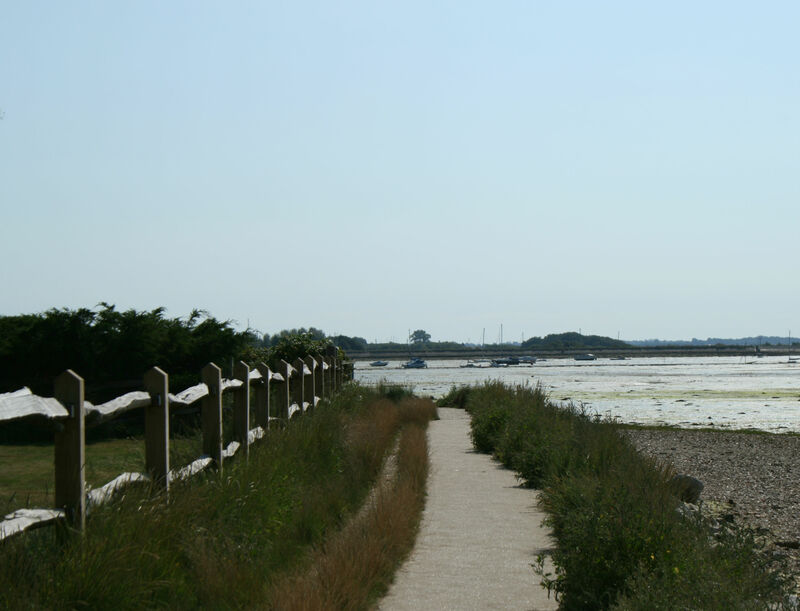 The names Threepwood and Emsworth should be familiar to Wodehouse fans –indeed the signs around town are almost a Blandings Who’s Who. Wodehouse also had family in Emsworth, in the shape of his Uncle Walter and Aunt. They lived for a time in Havant Road and presumably ensured that young Plum lived up to familial expectations. This may well have extended to churchgoing. 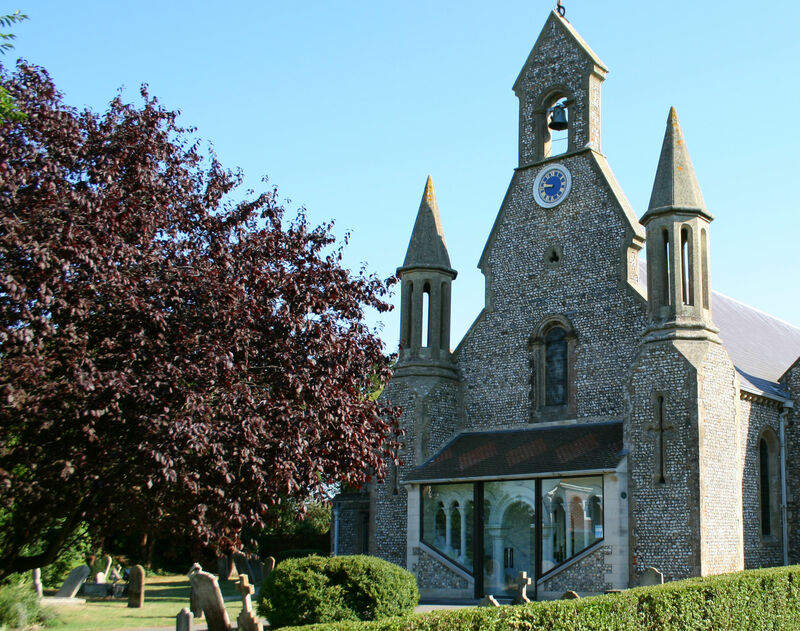 Which of Plum’s many ecclesiastical stories, I wonder, were inspired by his time on the pews here? Wodehouse was a keen sportsman in his youth, and maintained an exercise regime throughout his life that included his famous ‘Daily Dozen’ exercises, and regular walking. So I particularly enjoyed strolling the coastal path at the end of Beach Road and into the town, knowing Plum had ambled this way before me. My tour of Emsworth was guided by notes graciously supplied by N.T.P Murphy, who mentions that George Bevan from A Damsel in Distress stays at the Crown Hotel. 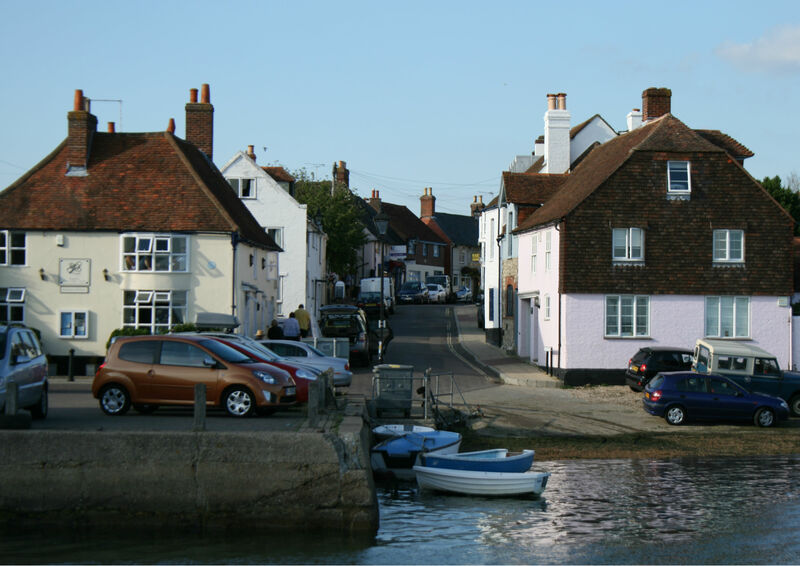 A Damsel in Distress is set in the fictional fishing and oyster town of Belpher, which is clearly based on Emsworth. I was unable to get a decent photograph of the Crown’s exterior, but I did spend several very pleasant hours at the bar. I shall certainly return to Emsworth to visit the highly recommended Emsworth Museum, which was closed on the day of my visit. The town also celebrates its association with Wodehouse, hosting a P.G Wodehouse Festival that should attract Plumtopians for years to come. 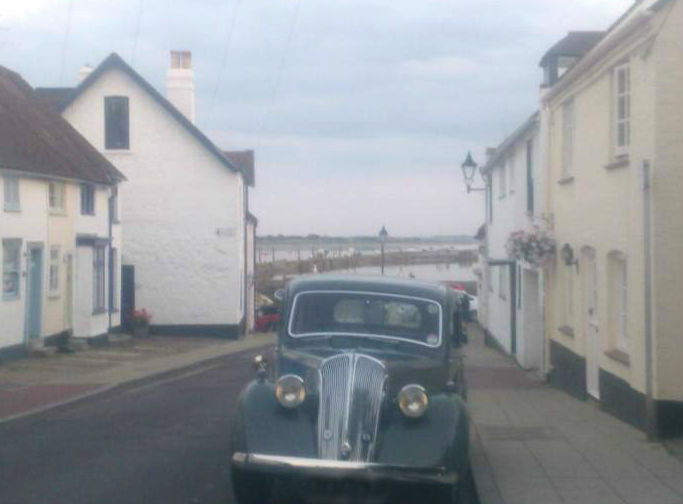 More details about Wodehouse’s life and associations with Emsworth can be found in Christine Hewitt’s lovely article for the P G Wodehouse Society (UK) . 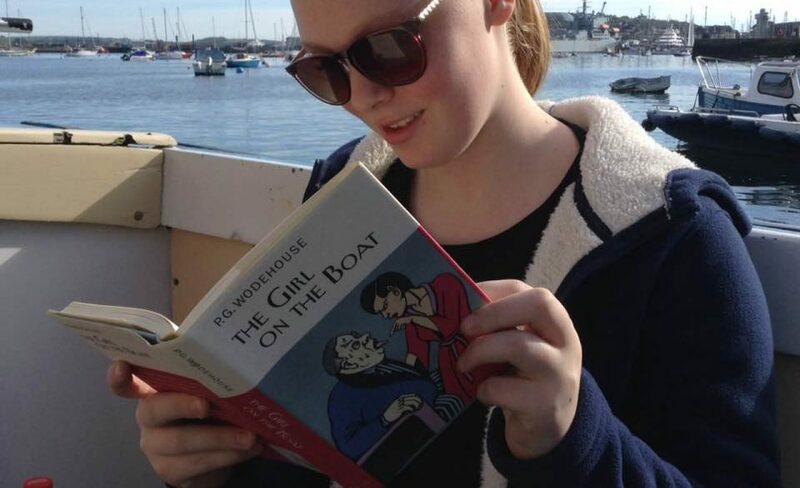 There is also a Wodehouse page at Emsworth Online. (c) All images are my own. Please request permission to reproduce. Lovely. 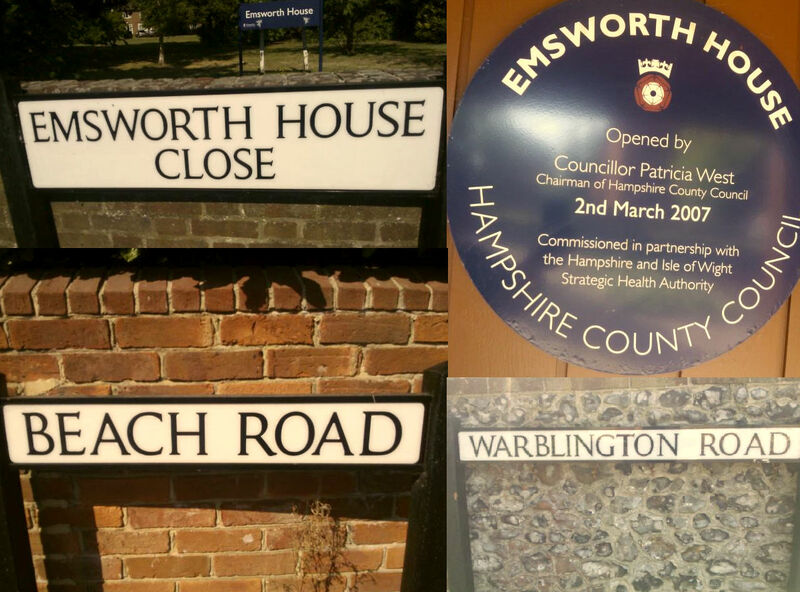 I never knew Emsworth was an actual place. Thanks Nish. I moved to the UK last year and frequently stop and gawp at signs bearing Wodehouse names. Enjoyed following your tour of Emsworth. Interesting reasoning about not dedicating his writing to friends. Thanks Honey. I’m sure he was joking because he dedicated many books to friends. I have been enjoying your travel stories too. Such lovely pictures! Thanks for sharing. You are very welcome, Mila. It was well worth visiting.